Dubai Parks and Resorts, owned by DXB Entertainments PJSC, is the Middle East’s largest multi-themed leisure and entertainment destination comprising three separate theme parks: MOTIONGATE™ Dubai the region’s largest Hollywood-inspired theme park featuring immersive rides and attractions based on Hollywood hits; LEGOLAND® Dubai, the first LEGOLAND theme park in the Middle East; and Bollywood Parks™ Dubai, a first-of-its-kind theme park that will showcase rides and attraction based on some of Bollywood’s biggest blockbusters. 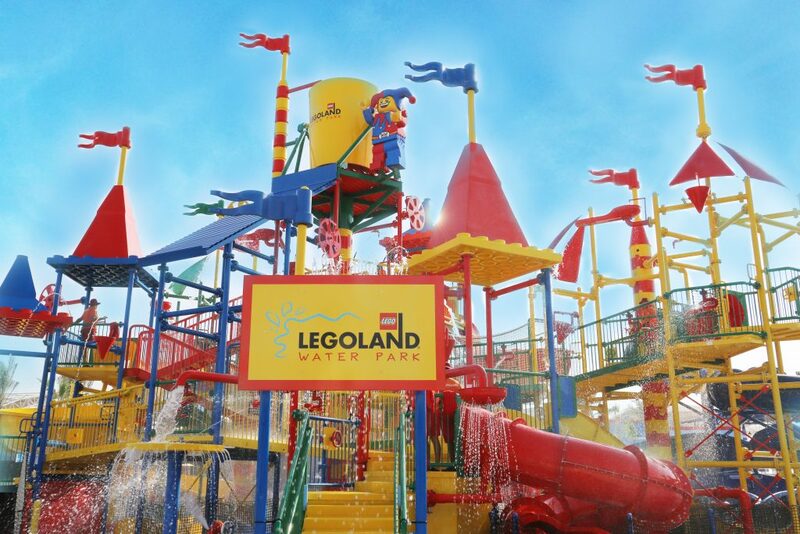 It will also host the LEGOLAND® Water Park, the region’s first water park catering to families with children aged 2-12. Expected to open in late 2019, Six Flags Dubai will be destinations fourth theme park and the regions first Six Flags themed park. LEGOLAND® Parks are unique theme park resorts specifically designed for families with children between the ages of 2 to 12 years. Based on the world’s most popular toy – the LEGO® brick – LEGOLAND Parks offer families the opportunity to play together and to let their imaginations run free through an exciting range of unique LEGO experiences from kid-powered rides, building challenges, spectacular LEGO Models, interactive attractions, family-friendly coasters and shows, that pull the audience into the action. There are currently six LEGOLAND® Resorts in five countries – Denmark, United Kingdom, Germany, USA – Florida and California, and Malaysia. All these Resorts also include fantastic LEGO® themed hotels and a mix of other attractions like water parks and SEA LIFE aquariums making them the perfect destinations for a family short break. In addition to the newly opened LEGOLAND® Dubai theme park, Merlin also has new LEGOLAND® Park developments underway in Japan and S. Korea.